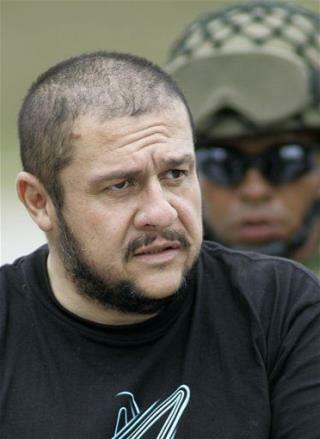 (Newser) – In 2004, Diego León Montoya Sánchez, at the time the leader of Colombia's most powerful drug cartel, was second only to Osama bin Laden on the list of America's most wanted. Three years later, a member of his inner circle who goes by "Tito" decided to give Sánchez up, figuring he could live off the $5 million reward. Sánchez was captured and is serving 45 years, but more than six years later, Tito has yet to see any money from the US government, he tells the Guardian. Other informants who helped to capture or kill drug lords say they, too, are still waiting for their rewards from the US' Narcotics Reward Program. One says he's still waiting for a $1.7 million reward after assisting in the capture of a cartel member in 2006; he actually filed a lawsuit against the State Department, which was ultimately dismissed, but not before the department revealed that the rewards are considered "discretionary" and that rewards don't have to be paid out according to any particular timeframe. Another says he is considering his own lawsuit since he's been waiting since 2010 for a reward. But his lawyer fears there is no binding contract, and thus no basis for a lawsuit: Among other reasons, the reward promised in that case was "up to $5 million," which technically includes ... $0. Another reason to end the Drug War. It turns the officials waging it into the same sort of dishonest, conscienceless, backstabbing sociopaths as the criminals they supposedly fight. Until the American people realize they no longer live in the greatest country in the world, integrity issues like this will multiply like maggots in rotten meat... When are we going to stop complaining and do start something about it ? Someone tell me, when will that threshold be reached?? When will we have a American "Spring"? Screw them. OWNED. Let's see how they like some treachery!